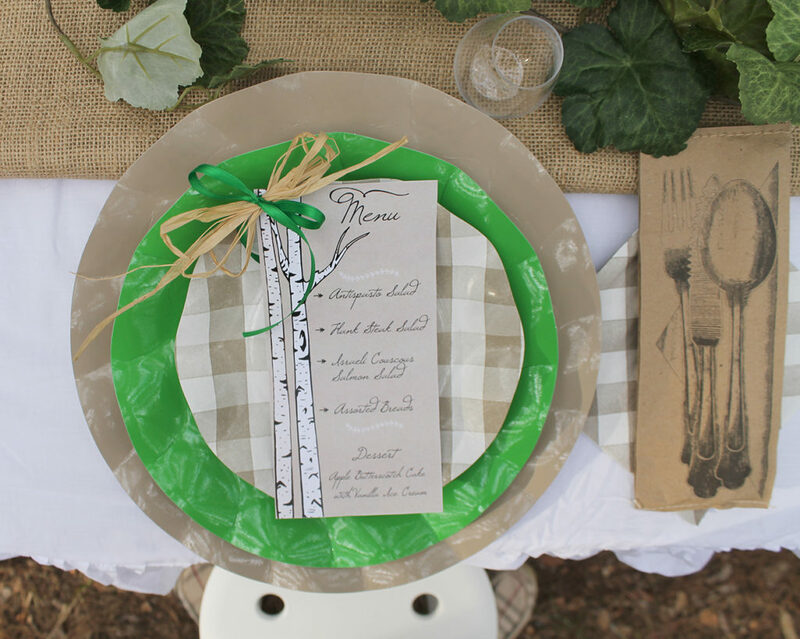 Yesterday I shared all the details of the “pop up dinner party” I recently hosted…well, maybe not ALL the details. I mentioned that planning the menu was the hardest part of this dinner. I wanted to be able to prepare the food at my house, then transport it 30 minutes to the secret location, and then not serve it for about another hour (once the guests arrived). I decided on three different salads…an antipasto salad, a flank steak salad, AND my favorite one, the Israeli couscous salmon salad. It is fairly simple to make, and it tastes great. And the best part is that it held up during the transportation time! 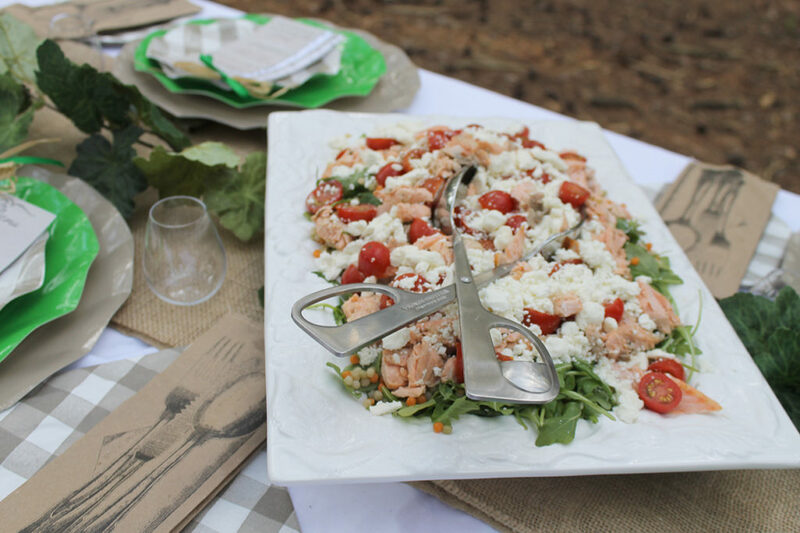 Today, I’m sharing the recipe for the Israeli couscous salmon salad. It has a creamy dill dressing that is spread on the salmon before grilling, and then drizzled over the greens. And the feta cheese adds a bonus flavor to it! Serve some warm French bread along with it, and dinner is ready! Okay, now I think I’ve shared all the details of the dinner!! Remember to print BOTH recipes…the dressing and the actual salad. Whisk together the lemon juice, mustard, honey, garlic, salt, and pepper until completely blended. Add the oil slowly, whisking until thick and creamy. Add dill and stir well. In a medium size pot, bring the chicken broth and 1/2 teaspoon salt to a boil. Add the couscous and reduce the heat. Cover and cook until the couscous is tender, approximately 10 minutes. Drain the couscous. Drizzle with olive oil and mix to prevent it from sticking together. Set aside. Prepare the salmon while the couscous is cooking. Season the salmon with salt and pepper. Drizzle 2 teaspoons of the lemon dill dressing on each piece of salmon. Spread it around to cover the top. Grill the salmon until firm. Flake the salmon into large chunks using a fork. Drizzle the flaked salmon with 2 tablespoons of the lemon dill dressing. Assemble the salad by combining the arugula and the couscous in a large bowl. Drizzle it with 2 more tablespoons of the dressing. Pour the mixture into a large serving dish. 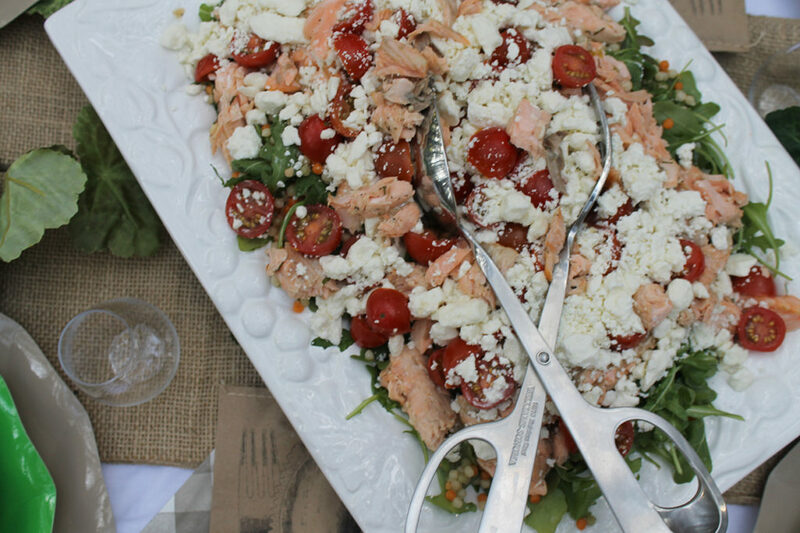 Top it with the flaked salmon, tomatoes, and the feta cheese. Garnish with the fresh dill and serve.